Scientists around the world struggle with questions regarding chromoprotein expression, specifically in regards to their use in biosensors. Biosensors are often seen as low-cost alternatives to expensive detection equipment for underfunded labs and field work. Lambert iGEM was inspired to address the problem of quantifying chromoprotein expression through development of a 3-D printed original device: Chrome-Q, software app, and verification with a chromoprotein genetic circuit. 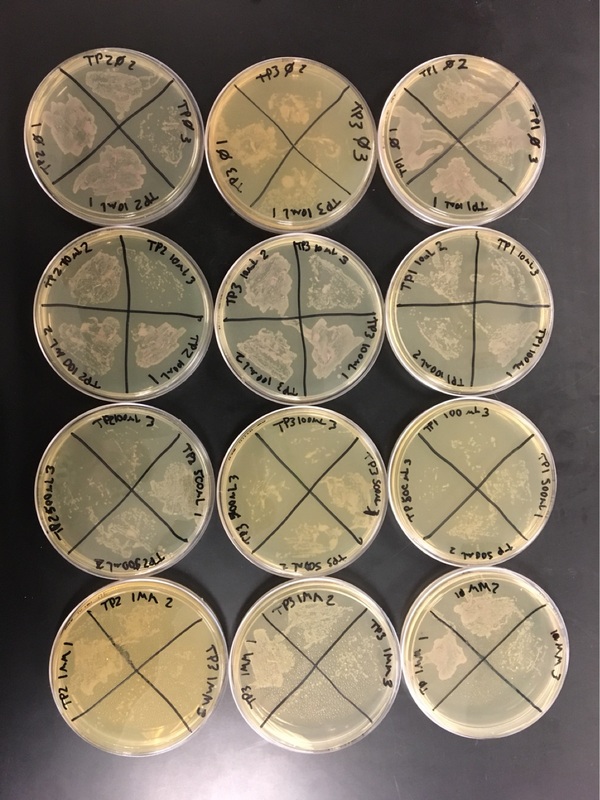 Additionally, samples were prepared with the 3-D Fuge (which was modified from Prakash Lab’s Paperfuge) to investigate the viability of using a low-cost centrifuge to process cells for visualization. 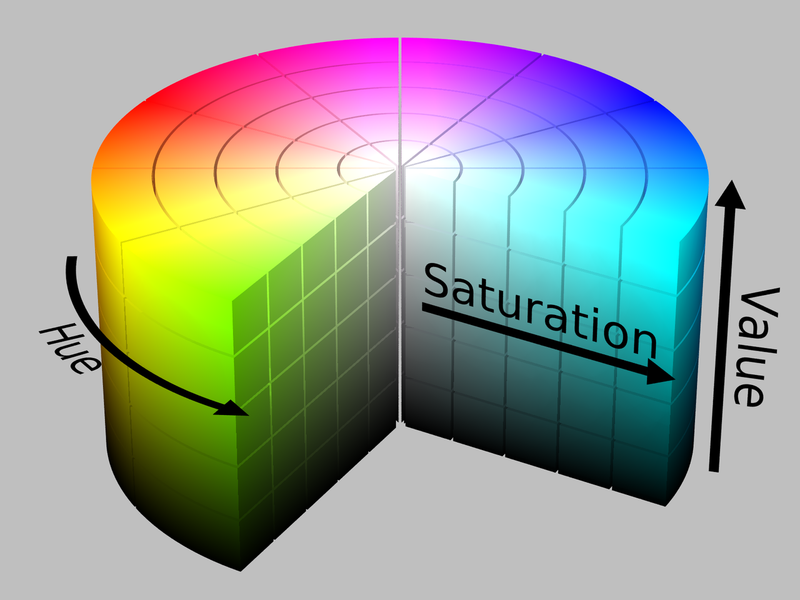 Quantifying color relies on measures of Red, Green, Blue (RGB) values and evaluating them in a color space known as Hue, Saturation and Value (HSV). Another consideration for color quantification is standardization of environmental light. To achieve this a device, the Chrome-Q, was developed to create a standardized environment for capturing images using Android and Apple mobile device cameras. Self-developed android software evaluates the RGB images resulting in HSV values. 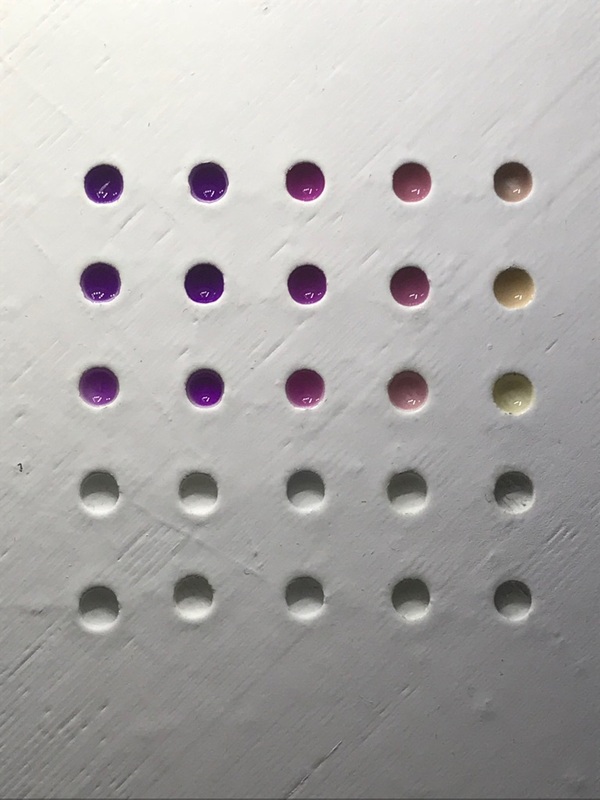 These HSV values can be normalized for cell density through subsequent serial dilutions of the cultures and plating to count Colony Forming Units (CFU). Throughout the development of the Chrome-Q, engineering design principles were implemented. Feedback and resulting changes were implemented into the next iteration. Five different prototypes led to the final development of two designs optimized for both Android and Apple mobile devices. The Android software was written in C#. The Chrome-Q stl files and software are available on the hardware page are open source. 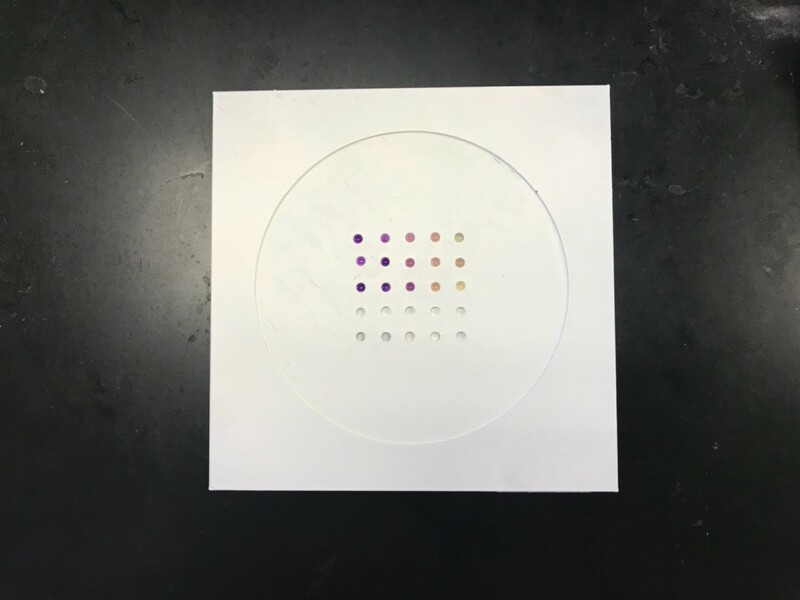 The device and software were then used to quantify data of ATUM’s Protein Paintbox proteins TinselPurple, ScroogeOrange and VirginiaViolet under varying levels of IPTG induction. An assembled genetic circuit of: Promoter- R0040, Ribosomal Binding Site B0034, and Tinsel purple (Tspurple)- (BBa_K1033906) (Uppsala 2013) was constructed to use in conjunction with a Protease mechanism of ClpXP. 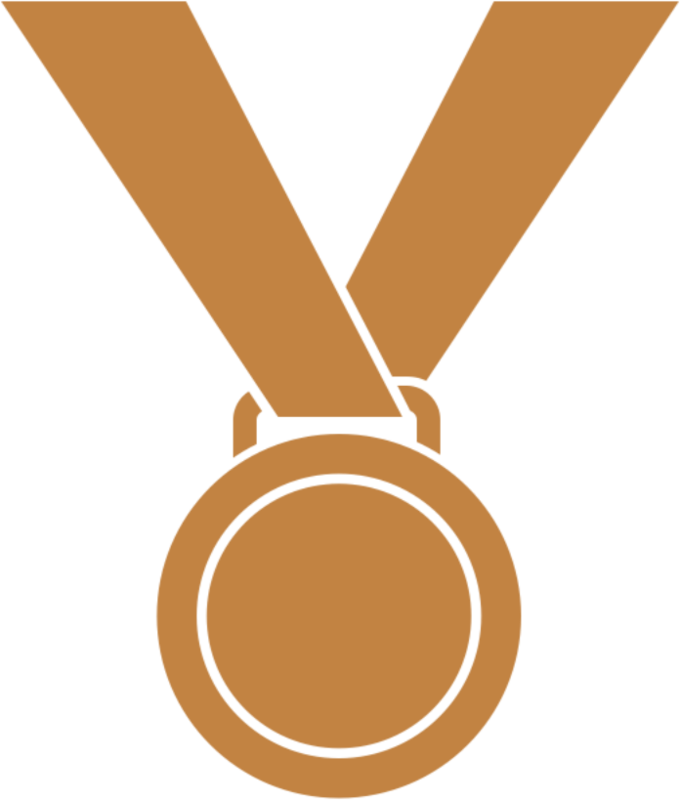 ClpXP is a protein complex comprised of two parts. ClpX recognizes an SsrA tag sequence at the end of a protein linearizes the tagged protein and brings it to ClpP. ClpP is an ATPase and cleaves the primary peptide bonds resulting in degradation of the original protein into individual amino acids. This demonstrated the potential usefulness of the 3-D fuge and Chrome-Q system as a replacement for fluorescent plate readers and centrifuges. 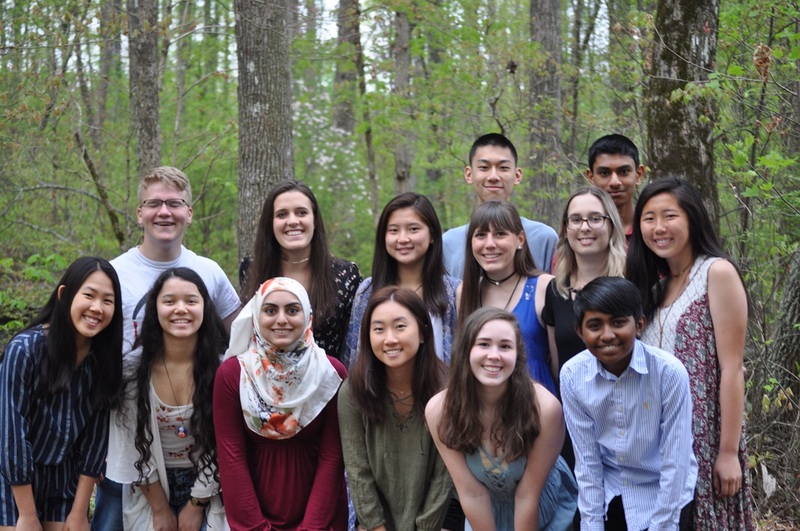 We are comprised of 14 high school students from Suwanee, Georgia in the 10th, 11th, and 12th grades. We are an after-school/before-school club that meets simply for the love of synthetic biology. As an underfunded lab, our project aimed to reduce costs of lab work. While characterizing non-lysosomal inducible protein degradation, we developed the Chrome-Q to quantify the degradation of protein. 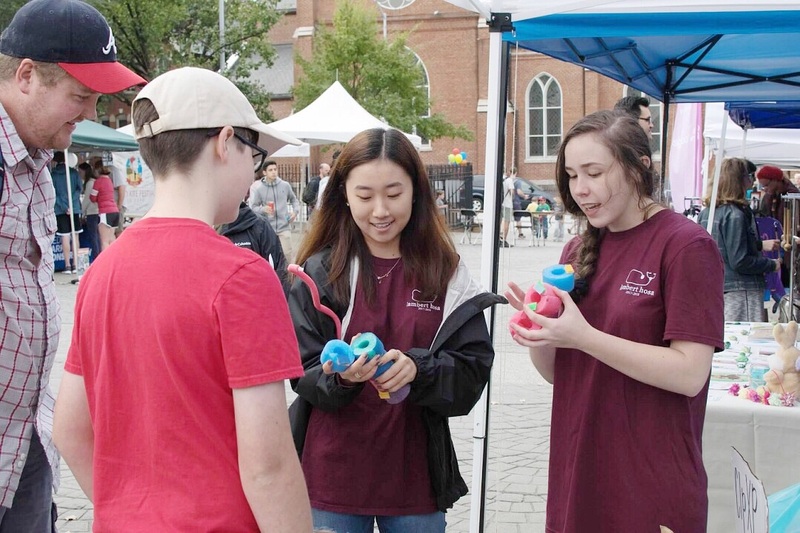 This past year, we have performed a variety of human practices, to educate the public about synthetic biology, as well as our project, through multiple outreach events. Attributions Yes, click HERE for more information. Interlab Study Yes, click HERE for more information. Validated Part TsPurple and TsPurple with LAA degradation tag. Click HERE for more information regarding Lambert iGEM's parts. Collaboration Emory iGEM, UGA iGEM and TAS Taipei iGEM. Click HERE for more information regarding Lambert iGEM's collaborations with other teams. Human Practices Open House, Maker Faire, Survey, Ethics conferences. Click HERE for more information on Lambert iGEM's human practices. Gave feedback on 3-D fuge to Dr. Saad Bhamla of Georgia Institute of technology and Prakash Lab of Stanford. Donated blankets and supplies to impoverished families in Lambert iGEM's surrounding area. Click HERE for more information on Lambert iGEM's integrated human practices. Improve BioBrick Part The part this year's team improved upon is: BBa_K1911001 created by last year's Lambert iGEM team. The updated part this year is: BBa_KK1911001: pLac-ClpXP-CI, as we improved the characterization of last year's part. Click HERE for more information on Lambert iGEM's BioBrick Improvement of their project. Used a 3-D printed centrifuge to process cells and demonstrate viability in field work and underfunded labs. Developed designs for printing Chrome-Q device for both Android and Apple mobile devices. Developed protocols for obtaining and normalizing data. Developed protocols for sterilizing the Chrome-Q, base and 3-D fuge. Click HERE for more information on Lambert iGEM's model in their project. Developed a working Chrome-Q to quantify chromoprotein data in inducible genetic circuits. Developed a protocol in order to test construct at varying levels of IPTG and quantify data. Developed a software app to accurately analyze chromoprotein data from Chrome-Q. 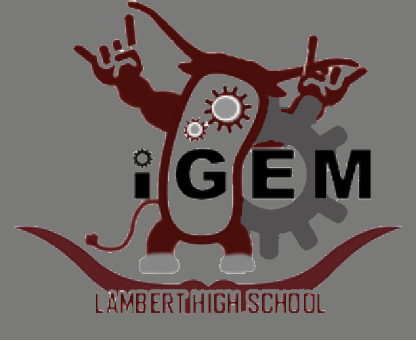 Click HERE for information on Lambert iGEM's demonstration of their project.